We are looking for a Volunteer Conservation Blogger! The Billy’s Lake Project is a local community initiative to improve, promote and maintain the formerly neglected body of water and surrounding woodland area known as ‘Billy’s Lake’, so that it can be more readily accessed and enjoyed by all as a public ‘green space’ and also as a haven for wildlife. 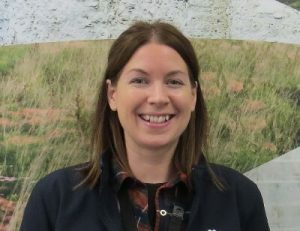 The project is sponsored by the Acorn Community Centre in Wecock Farm, which (subject to charitable funding) employs one full-time Community Conservation Officer to lead and manage the project. The project is otherwise staffed entirely by volunteers from the local community. 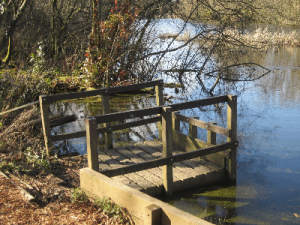 Also known locally as ‘Soake Sandpits’, Billy’s Lake is a secluded lake and woodland area of approximately 10 acres located in the ‘Denmead Gap’ between Denmead and Waterlooville. 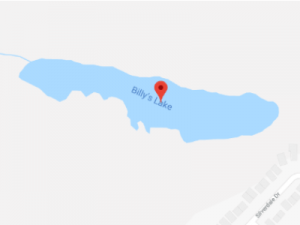 For more details and directions, see the ‘How to find Billy’s Lake’ page. Please Note: The lake is actually divided in two by a causeway that runs roughly east-west along its length. The 2 acre fishing lake and surrounding woodland to the north of the causeway is known as ‘Soake Pond’. This part is private and is currently owned and managed by Portsmouth and District Angling Society. The 1 acre fishing lake and surrounding woodland to the south of the causeway is open to the public, and is known as ‘Billy’s Lake’. The scope of the Billy’s Lake Project extends only to these public areas. We understand that a 3 acre lake was formed as a result of gravel extraction in the 19th century, hence the name ‘Soake Sandpits’, as the site borders the historic hamlet of Soake (in which the nearby Soake Road is situated). The lake is actually formed of two adjacent bodies of water separated by a causeway that runs roughly east-west. The 2 acre fishing lake to the north of the causeway is known as Soake Pond and has been in the ownership of the Portsmouth & District Angling Society since the 1990s. 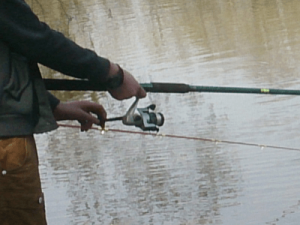 The 1 acre fishing lake to the south of the causeway is known as Billy’s Lake and is owned by Jewson Property Holdings Ltd, whose local Denmead Branch is immediately adjacent to the site. Gravel extraction ceased in the early 1900s when the pits began to fill with water from an underground spring. 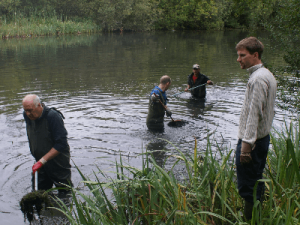 Since then, the area has evolved into a natural habitat for a variety of local wildlife and is now accessed by local dog walkers, anglers and increasingly, other members of the local community. It is understood from local residents that the lake was named after a local lad called Billy who played there as a child in the 1960’s. The Acorn Community Centre in Wecock Farm has a group of young volunteers who meet regularly to plan and brainstorm ways in which they can help to enhance their community through events and activities. At a meeting in November 2010 they started talking about Billy’s Lake and the surrounding area. They talked about how it was a place they played and spent time but that it was very neglected, which led to further discussions about creating a plan to clean up and develop the green space and footpaths so that the area would be more accessible and enjoyable to all. This began the dialogue that turned into a community initiative known as the Billy’s Lake Project. A Steering Group of community members and local officials was duly established and the land is now leased to the Wecock Community Association. Funding was obtained from The Tudor Trust (a national charitable trust) and some of this funding has been used to employ a Community Conservation Officer to lead the Project. 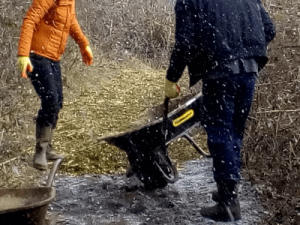 This in turn enabled work to begin on getting the community involved in enhancing the area as a habitat for the existing wildlife and as a public amenity space to be enjoyed by everyone. 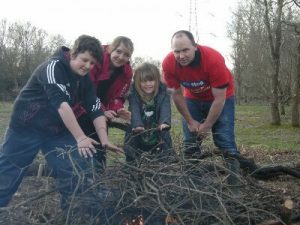 A Volunteer Working Party was then established to perform regular maintenance and upkeep of the land. Ongoing help from Volunteers, funding and grants has enabled huge amounts of work to be carried out to improve the area and make it a safe and accessible place for all. In addition, the Acorn Community Centre engages with the local community, local organisations and businesses to hold events, workshops and activity groups at the lake. To conserve and enhance the natural environment and biodiversity. To promote opportunities for the understanding and enjoyment of the natural space by the public. To increase a sense of local heritage and ownership of the area. We are currently writing the Billy’s Lake Project Plan 2018 – 2023. The purpose of the plan is to clearly define our aims and objectives for the next 5 years, to explain the reasoning behind them, and to explain how we plan to achieve them.